In the early days of diving we would spear fish, collect seashells, harvest abalone and scallops, and explore things that no one had ever seen before. The recreational diver of today has more limits and restrictions. Laws and ordinances restrict where and how we can hunt for lobster, spear fish, abalones and more. Marine Parks are beautiful to dive in, but they come with more rules – no spearing of fish, collecting of sea shells or even picking up trash if it is grown with sea life. I don’t even know of any scenario were we can collect seashells. So what is a diver to do? The answer is capturing these diving memories digitally – with pictures, preferably using a GoPro! Photography has been available for scuba since the beginning. From the original Calypso camera all the way to the current cameras of today, photography has changed tremendously! 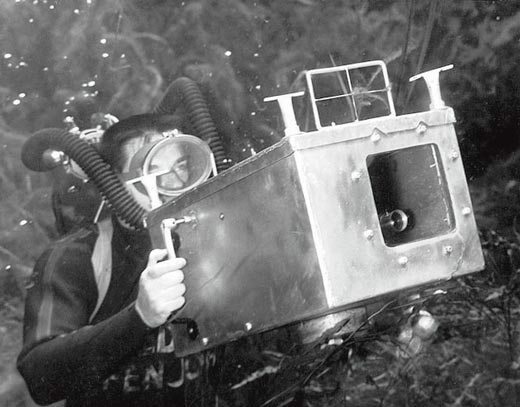 Back in the day, underwater photography (even at today’s standards) was outrageously expensive. A good underwater camera in the 60s or 70s could cost as much as $3000 or more. The film used in the older cameras was quite expensive ($8 for the film, $12 to process). For your twenty dollars per dive, you were lucky to get 3 great photos, yes, I said 3! Photography back then was quite a skill. To be a good photographer in the 60s and 70s, we took a lot of classes and completed a lot of practice and training. Thank goodness modern technology has changed underwater photography for the better! An invention called the GoPro camera has changed our world forever! The GoPro camera can be used in TONS of different manners both above and underwater. There are special versions of the housing for the GoPro camera to dive with. It is best to purchase your u/w camera at a Scuba Facility. This Facility should have the desire to help you learn how to use the camera, educate you on the different accessories for the camera to grow with your diving skills and photography skills and help you learn from your mistakes to correct your pictures! 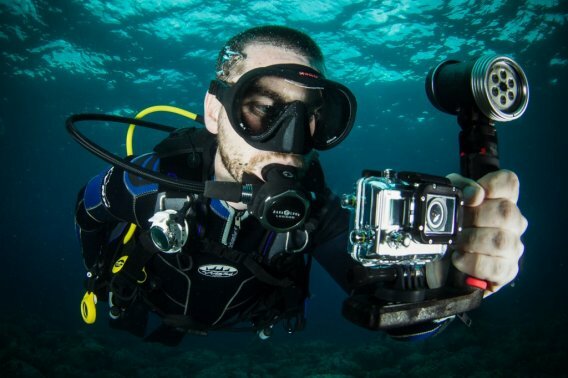 Different housings are available depending on how you want to bring the camera underwater: carry it in your hand, strap it to your wrist, mount it on your chest or you can even mount it on your mask to capture the dive how YOU see it! Instead of an old style flash that fires at 1/60 of a second, we use continuous LED lighting for digital cameras. Higher mega pixels allow lower light conditions so we need continuous LED lighting to allow the camera to focus and capture the right moment. While diving, remember, we lose natural light due to the sunlight not being able to penetrate beyond 20 feet or so and water is 800 times more dense than air. We have filters that mount on the outside of the housing that help bring the natural colors back. Combine these filters with a powerful light and you will capture phenomenal photos! 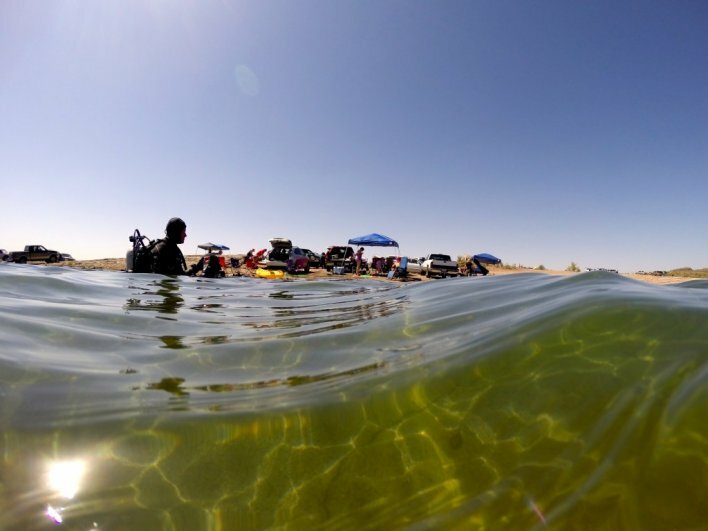 Scuba Professionals of Arizona is offering three different levels of courses specifically dealing with the GoPro camera and housings. The Level I class teaches camera maintenance, minor field repairs, setting up the perfect shot, videography, lighting and more. Now you won’t waste valuable time taking poor quality photos. The Level II course deals with editing and what you can do with your pictures. The Level III course will show you how to use your pictures for commercial use as well as promotional use. With the simplicity of the cameras, Micro SD cards that can hold a lot of photos, and small sized cameras and housings, you are just about guaranteed to get great photos and capture your diving memories! Read more about our Digital Underwater Photo Course here! Contact us if you’d like more information! Scuba Professionals of Arizona Call Today 602-314-6650!